Private household "Azov the best" is located in the village of Rifle, Kherson region, 600 meters from the beach Arabatskaya arrows. Private household is a 2-, 3- and 4-bed houses, complete with wooden beds, bedside tables, refrigerator, air conditioning or fan. In the 2 and 3-bed houses there is a TV. 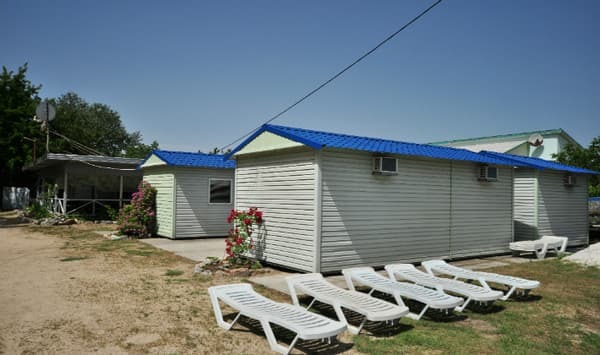 A summer shower and a bathroom are located on the territory. Hot and cold water round the clock. 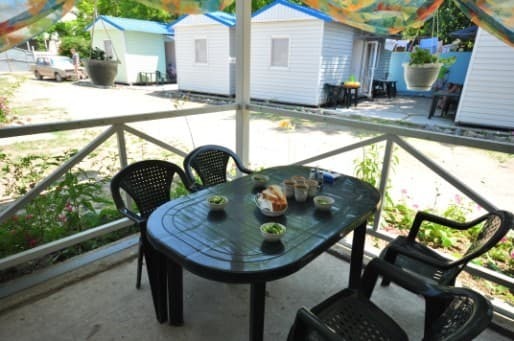 The houses have sun loungers and tables with chairs. There is a tennis table on site. Pension "Azov the best" can provide the guests with a transfer service from the railway station station Novoalekseevka for a fee. Description of the room: A double cabin with an extra bed for a child under 12 years old is equipped with bedding, bedside tables. 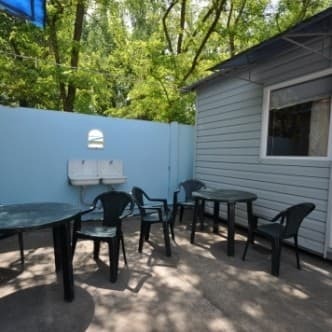 At the exit from the house are sunbeds and a table with chairs. Shared kitchen is located on the territory of private household. Description of the room: A three-bed house with an extra bed for a child up to 12 years old is furnished with beds and bedside tables. At the exit from the house is a table with chairs, as well as sun loungers. 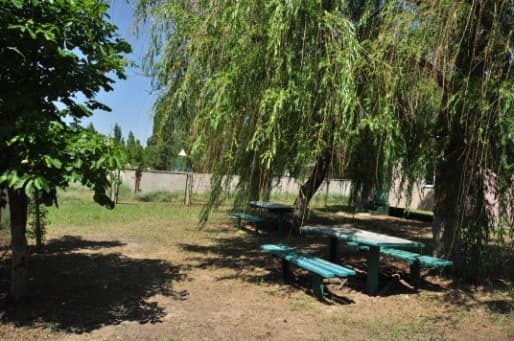 A common kitchen for self-cooking is located on the private property "Azov the best". Children under 5 years old are accommodated at a 20% discount. In each house, in addition to these places, an additional place for children under 12 years is provided. Check the price for the reservation. Private household "Azov the best" provides vacationers with the option of a complex 2- or 3-meals a day for additional payment. There is a common kitchen on site for self-catering. 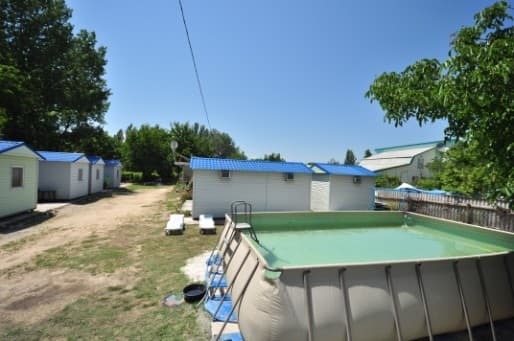 Private household "Azov the best" is located 600 meters from the beach of the Azov coast, in the village of Rifle Kherson region. In 40 km from it is the nearest town of Genichesk. The distance from Kherson is 238 km. Private household provides the guests with massage and spa treatments (the price of these services is not included in the price). By train to the station Novoalekseevka, then by taxi, or organized by prior arrangement transfer, as well as by bus or car to the village of Strelkovoye (Genichesky district).